One more item from the Headland Sculpture on the Gulf exhibition. 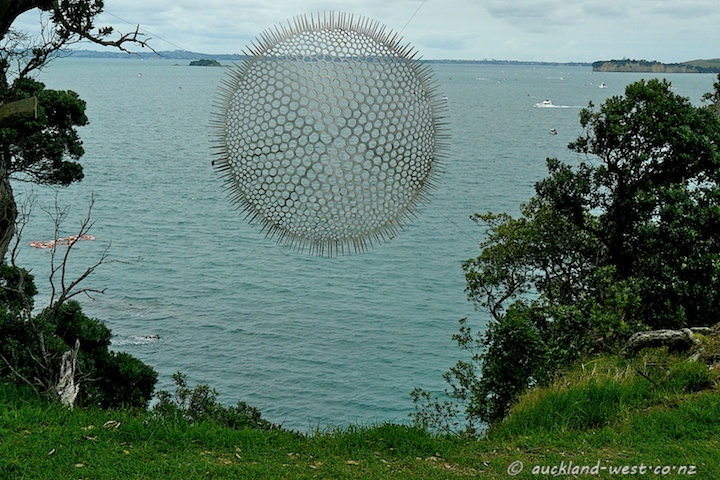 This suspended stainless steel structure is entitled Lookout – Pacific Radiolaria, by Virginia King. Diameter: 2 metres. Thank you, my absolute favourite! I am getting more and more upset that we are going to be missing all this!